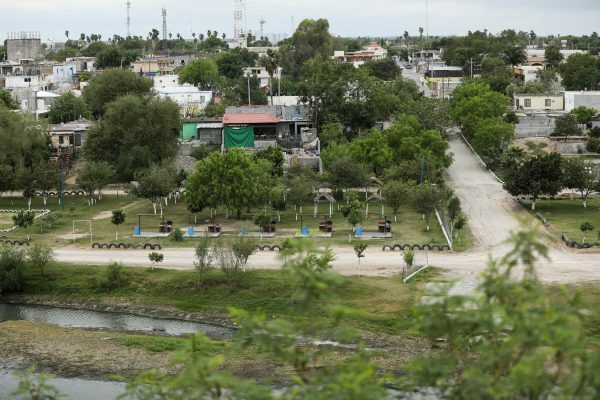 ROMA, Texas—It’s not uncommon to hear gun battles and grenades exploding across the Rio Grande in the Mexican city of Miguel Alemán. The city is where two cartels—Gulf Cartel and Los Zetas—converge, frequently battling for territory. Looking across the river from the bluffs at Roma, it’s easy to spot cartel lookouts, where scouts constantly watch Border Patrol and law enforcement for any gap. And there are plenty of gaps. No border barriers exist in this area, and there is plenty of unpopulated ranchland to hide in to evade capture. The Rio Grande City Border Patrol station takes care of this 68-mile strip of international border in southeast Texas. It sits within the Rio Grande Valley Sector and is the busiest of the nation’s 135 stations for drug seizures and the second busiest for illegal alien apprehensions. 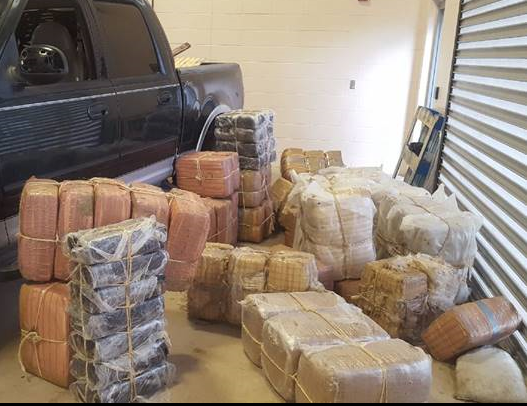 Despite the station seizing 42,000 pounds of narcotics so far this fiscal year, “we’re not even probably catching about 10 percent of it,” said Raul Ortiz, deputy chief Border Patrol agent for the Rio Grande Valley sector. That would mean 378,000 pounds of drugs have made it across into the Rio Grande City area between the ports of entry. So far this fiscal year, Ortiz said 25,000 illegal aliens have evaded Border Patrol in the Rio Grande Valley Sector. “Those are the ones that are winding up in your jails, those are the ones that are winding up in these communities north of us,” he said. 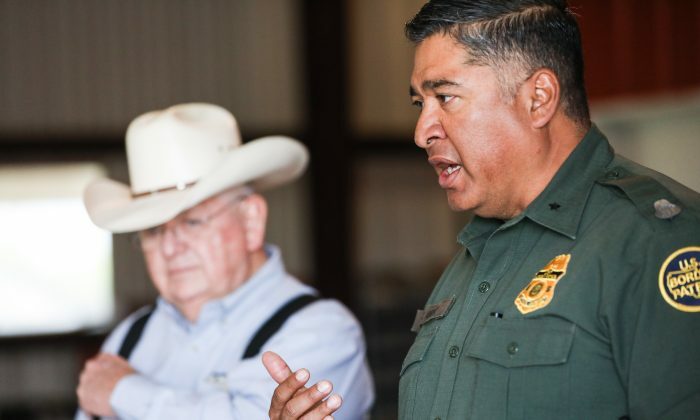 Ortiz said Border Patrol’s strategy is to try to apprehend aliens and interdict drugs as close to the river as possible, before the local ranchers and communities are affected. But it’s difficult in this area, where there is no infrastructure or patrol roads running along the border line. If Border Patrol agents are chasing drug smugglers on a rancher’s land near the border, and those smugglers cross to the next ranch, agents may have to drive 10 miles back out of the first ranch and 10 miles into the second in pursuit. Only five years ago, Border Patrol had no idea how much cross-border traffic was coming through. That changed when seven aerostat balloons started recording real-time incursions in south Texas. 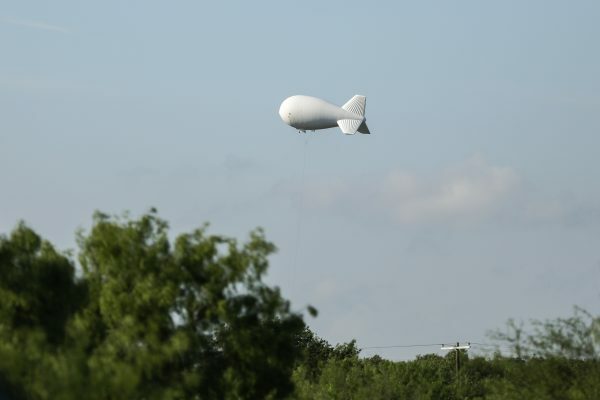 One of the bigger aerostats, nicknamed “Big Bertha,” is situated six miles from the border on La Anacua Ranch and started surveilling on July 31, 2014. It has two cameras that can see up to 20 miles in any direction on a clear day. Camera operators have tracked a car from nearby Sullivan City to a Chase bank in McAllen around 20 miles away, said field service representative Robert Robinson. But winds of 20 to 25 knots will force the balloon down, and the cartels are ready to pounce as soon as they see it retracting. March 22 was one such day, and local Border Patrol agents said illegal activity picked up immediately after the balloon was brought back down to its trailer. On average, the balloon picks up 500 to 600 illegal alien incursions per week. The aerostat’s live camera feeds transmit to the Rio Grande City and Zapata Border Patrol stations and the information helps Border Patrol allocate resources and respond to priority situations. The cameras, which are designed for low-flying aircraft, have night and day vision. “As things are developing over there [Mexico]—gun battles between rival cartels, the government of Mexico, and the cartel—we already have that awareness, we’re able to see it as it’s occurring over there,” said Albert Olivares, Border Patrol agent and special operations supervisor. Ortiz said Border Patrol has a direct line of communication with the Mexican military across the border and they work together frequently. In fiscal 2017, almost 72,000 Americans died of a drug overdose, with most drugs coming across the border from Mexico. On March 28, Rio Grande City agents saw several illegal aliens carrying bundles of marijuana across the border. As the agents responded, the smugglers abandoned the bundles and fled to Mexico. Agents found five bundles of marijuana weighing nearly 280 pounds and worth an estimated $223,000. On the same day, another 175 pounds worth $140,000 were found by agents in an abandoned residence nearby. Border Patrol drug seizures between ports of entry in fiscal 2018 totaled almost 500,000 pounds along the whole southwest border—461,030 pounds of marijuana, 11,314 pounds of methamphetamine, 6,550 pounds of cocaine, 568 pounds of heroin, and 388 pounds of fentanyl (enough fentanyl to kill all Americans four times over, according to Homeland Security Secretary Kirstjen Nielsen). 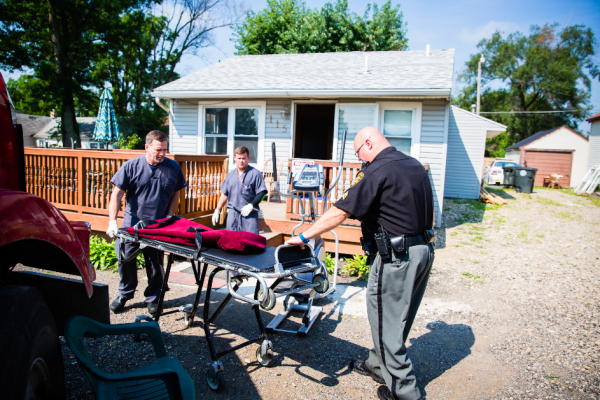 The amount of fentanyl was more than triple that seized in fiscal 2016 and methamphetamine seizures netted almost twice as much as in fiscal 2015. The amount of marijuana has halved, most likely due to the legalization of the drug in some U.S. states. Meanwhile, President Donald Trump has threatened to close the southwest border if Mexico and Congress both don’t take steps to control the situation. In March, it is estimated around 100,000 illegal immigrants, mostly from Central America, crossed into the United States. If Congress doesn’t make amendments to allow for the detention of illegal immigrants until their asylum court case is adjudicated, the massive flow from Central America will continue unabated. Currently, children and family units can only be held for a maximum of 20 days, but asylum cases take six to eight weeks. Nielsen has appointed former Border Patrol Chief of the Rio Grande Sector Manuel Padilla to lead a crisis response effort.